I needed this image today! I'm going to beat some words into shape yet -- hurricane be damned! 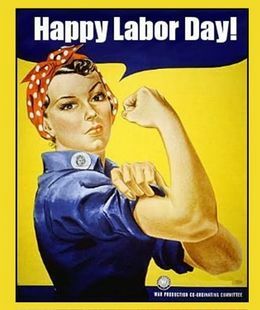 Late happy labor day, Kira! I hope things are going well at the new job. You're welcome. It will probably take a bit to get used to the new schedule, but hopefully, you'll adjust soon. I'm glad they are mostly good. Yeah. I've also noticed that he does better in smaller groups. The days he's there, we have a ton of kids, but as they get picked up, he calms down & things aren't as crazy.